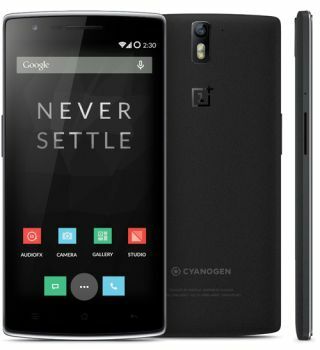 OnePlus One phone offers high-end specs for low-end price | What Hi-Fi? The newest smartphone on the market can comfortably hold its own against the likes of Samsung, HTC, LG and Google in the specs war and undercuts all of them on price. A new smartphone company founded by ex-Oppo vice chairman Peter Lau, OnePlus, has released its first smartphone: the OnePlus One. The OnePlus One may not have the same backing and reputation as Google, Samsung, HTC or LG, but it boasts some seriously impressive specs and an even more impressive price tag. Under the hood you will find a 2.5GHz quad-core Qualcomm Snapdragon 801 processor with 3GB of RAM. A 5.5in full-HD 1080p screen graces the front, giving a 401ppi rating and around the back there's a 13-megapixel camera capable of shooting 4K video. JBL has provided speakers for the bottom of the phone. The back cover for the 3100mAh battery is removable and OnePlus is offering a variety of replacement covers available in bamboo, wood, denim and Kevlar. However, the battery isn't replaceable. The One runs on the CyanogenMod operating system, based on Android 4.4 KitKat. CyanogenMod can already be found on the Oppo N1, so it's little surprise it features on the OnePlus One. It allows users to customise their phone in many other ways compared to regular, vanilla Android. The OnePlus One will soon be available in the UK in 16GB and 64GB unlocked variants. The 16GB will cost £229 and the 64GB is priced £269, making the OnePlus One the least expensive, high-end phone on the market, undercutting the Google Nexus 5.